Go on, admit it, you might have an Instagram addiction. It’s okay, so do we. Instead of scrolling through the same “influencers” and celebrities, we love to use the platform for creative inspiration. Some of our favorite photographers have graced us with their own Instagram account, and we could not be more obsessed. We love following a variety of photographers, including those who specialize in portraits, landscapes, and skylines. Check out some of Hipstetic’s favorite Instagram photographers. 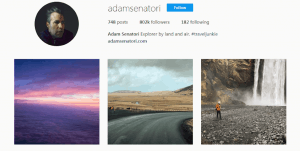 Adam Senatori is a self-proclaimed “travel junkie” who also happens to be a pilot. He takes amazing photographs of his adventures from an aerial perspective. His Instagram captures captivating views of what our world looks like from up above. Man do we love Paul Octavious. 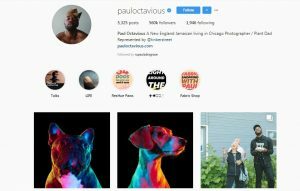 We have spent an embarrassingly long time scrolling through Paul Octavious’ Instagram. Paul is a Chicago-based photographer from Jamaica who has an amazing eye for detail and color. We especially love his dog portraits and cinematography. 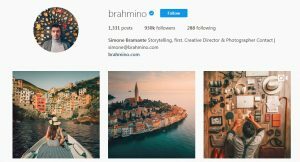 Simone Bramante’s is a photographer from Italy who’s Instagram is full of his original, breathtaking photography. His work is absolutely stunning and provides a magical look into his creative mind. His photographs range from portraits to landscapes and each image tells a story. With almost a million followers, you have to see his page to believe it. İlhan Eroğlu’s photographs appear to be from another world. 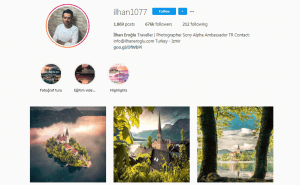 İlhan’s Instagram will make you feel like you are looking at illustrations from a fairytale, when in fact they are magical photographs of landscapes around the world. İlhan travels the world and captures storybook-quality photos that will leave you in a trance. We are in awe of his photography of old-school architecture. 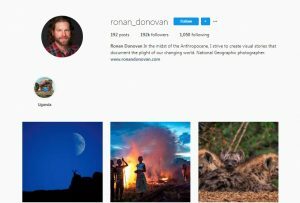 Ronan Donovan is a photographer for National Geographic. His Instagram is a spectacular collection of photographs from areas of the world that we do not get to see very often. We love scrolling through his beautiful snapshots of animals, villages, and people from around the world. His most recent work is from Uganda, and we could not be any more impressed. 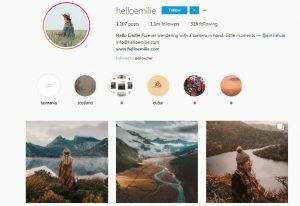 Hello Emilie is a photographer who provokes our wanderlust and captures beautiful images of rolling mountains and snowy hills. Emilie travels the world to photograph outstanding landscapes that flood our Instagram feed with images of Scotland, Dubai, and beyond. Hello Emilie has over 1 million followers and it is easy to see why. This account is a bit different because the pictures aren’t new, but they are classic and still important. 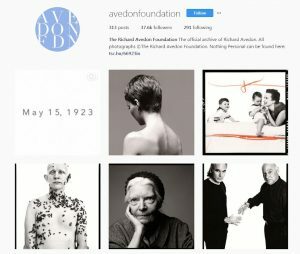 @avedonfoundation is the official Instagram archive of the Richard Avedon Foundation. Avedon’s portraits have always had a special place in our heart. He is arguably the greatest portrait photographer in history. The black and white portraits of some of our favorite celebrities from the 70s and 80s will truly take you back.